A selection of short pieces - both fiction and non-fiction - from one of Australia's greatest literary treasures. From one of Australia's greatest novelists comes this fine collection, a storyteller's journey. These short stories and essays, written over the last forty years, comprise an insightful and intelligent meditation on the life of the novelist and the culture of contemporary Australia. Personal and intimate as many of these pieces are, this collection forms a kind of assured autobiography, of the sort that only Alex Miller could write. 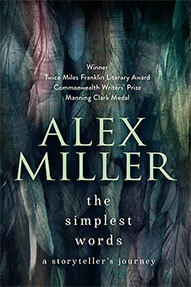 Alex Miller's stories are told with a rare level of wisdom and profundity, engaging the intellect and the emotions simultaneously. Stories are, after all, in his blood.